Jamaal Haffner is a 10+ year veteran in the fitness industry. He is a former semi professional basketball player and is currently involved in competitive bodybuilding. His fitness journey began with his natural born desire to help and encourage others. He began training family and friends before making a professional career out of motivating individuals to become happier and healthier people. He continues to do what he does because it gives him the wonderful opportunity to positively impact the lives of those who are striving to better themselves and live a healthier lifestyle! 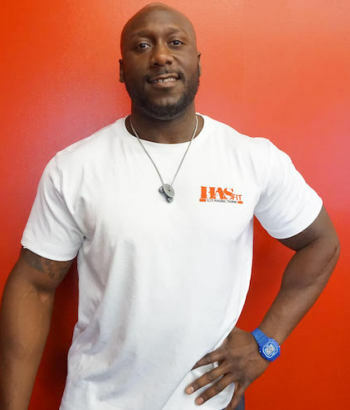 Jamaal absolutely loves sharing the fitness journey with people and enjoys watching them gain confidence, strength and more control over their lives. It’s an extremely fulfilling feeling to know that someone else can put 100% trust in him because they are sharing the same vision for a journey towards optimum health. Jamaal’s areas of expertise consists of weight loss, diet management, and muscle and weight gain! He’s worked with hundreds of people in South Texas and I’m sure he can’t wait to work with you! He is a firm believer that you can only change your life by changing your heart. Your heart is your body’s motor. Without a healthy motor your body, your life can never fully function the way it should. Exercise is the key component which will guide the body in performing to its full potential.